A suspension of the fuel tax by French President Emmanuel Macron may not be enough to quell the unrest in France. Yellow Vests and opposition parties are saying it is too little, too late. "But the French won’t be satisfied with just crumbs, they want the whole baguette.” He said he wanted all recent gasoline tax hikes rolled back. The questions then are: What will happen this weekend? Will the yellow vests return to the streets demanding even more tax cuts? Surely, many in other parts of the EU are watching, If the unrest continues, will it trigger demonstrations in other parts of the EU? 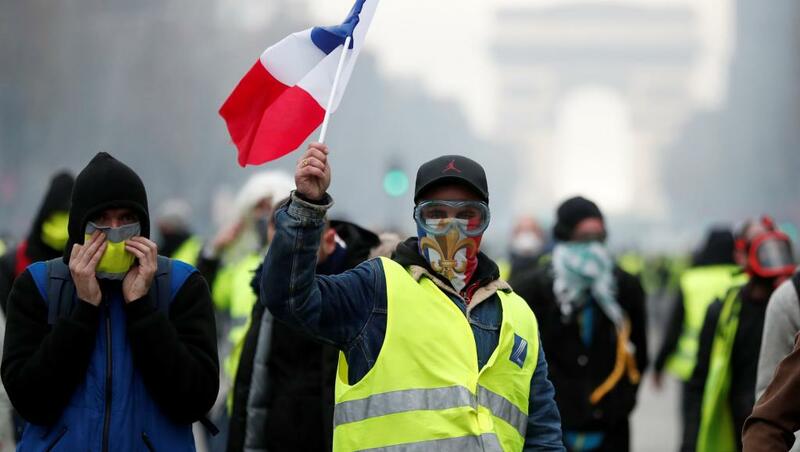 The below report by France 24, provides a good introduction to the current mood of the Yellow Vests. A suspension just means they'll bring it back later when they think the people won't get so angry. It means approximately nothing.